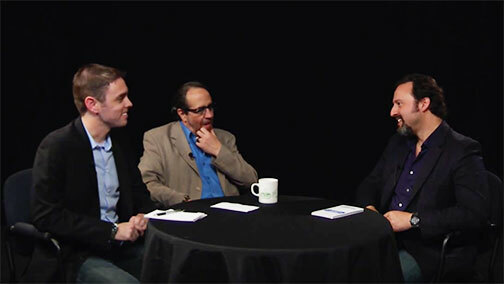 Mike De Wald and Steve Jaxon interviewed by Daedalus Howell. Here is an interview of Steve Jaxon and The Drive's producer Mike De Wald, conducted earlier this year by Daedalus Howell for the 707 series on C Media Labs. Over the course of this wide-ranging half-hour interview, we hear about Steve's approach to the show, Mike De Wald's pivotal role ("...he's the star of the show," says Jaxon), about Steve's career path in the radio business and about several of his most interesting interviews on The Drive. One of the highlights of the interview is Steve Jaxon's description of how he and Mike De Wald collaborate on The Drive. Before the interview begins, we hear an excerpt from an interview Jaxon did with California Lt. Gov. Gavin Newsom, as a way of introducing the caliber of guests that frequent The Drive on KSRO, Monday through Friday.